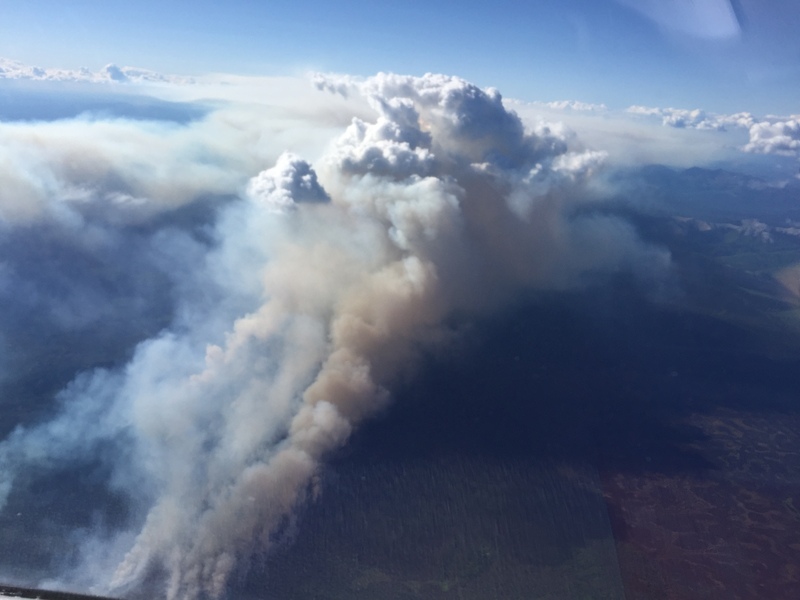 Two wildfires burning in a remote part of Southwest Alaska have merged into one larger fire and firefighters from the Alaska Division of Forestry are focusing on protection of Native allotments and any structures that may be in the area. The Medfra Fire and Berry Creek Fire merged sometime Tuesday night and the size of the fire, still referred to as the Medfra Fire, is now estimated at 8,130 acres. The fire, located approximately 50 miles northeast of McGrath, is still actively burning to the south and southwest. There are approximately 80 Alaska Division of Forestry personnel working on the fire, including the White Mountain Type 2 Initial Attack Crew from Fairbanks and Type 2 crews from the villages of Lower Kalskag, Upper Kalskag and Nondalton. Crews are working on protecting three Native allotments and two cabins that are threatened by the fire. Both the Medfra and Berry Creek fires were started on Sunday as a result of holdover fires from the Soda Creek Fire that burned approximately 16,500 acres in the same area last summer.